The “KIZUNA” (the “BOND”) has saved many people, who have helped each other after the Great Earthquake Disaster on March 11, 2011. The “KIZUNA” (“BOND”) that has overcome the boundaries of each country and came to Japan has saved the Japanese people, gave them hope and made them feel love. Even now this word “KIZUNA” (“BOND”) is still supporting the Japanese people and has become their symbol. 1. 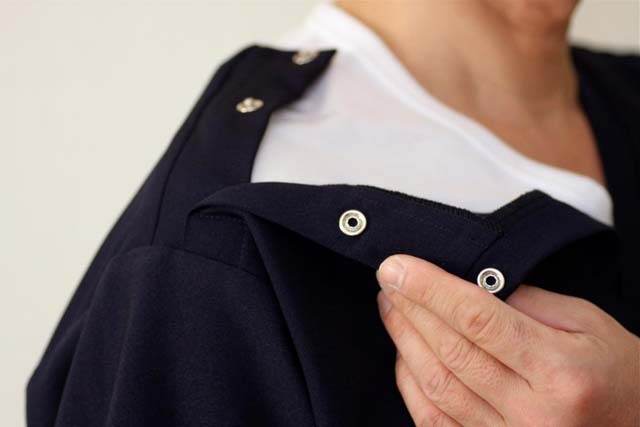 A firm, fine quality cloth, pleasant to touch, with excellent water repellent quality. 2. It is easy to move while wearing and pleasant to wear. In spite of that, it is not too loose and makes the silhouette look sharp and smart. 3. 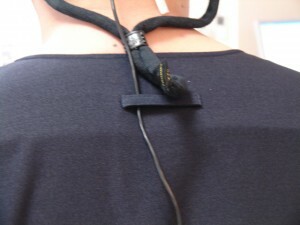 It is possible to keep all wires from the surgery magnifying glass and light in one place in the back rings on the back. 4. There are hook buttons on the shoulders, which makes possible to open the shoulder part and put on and off the wear easily. 5. 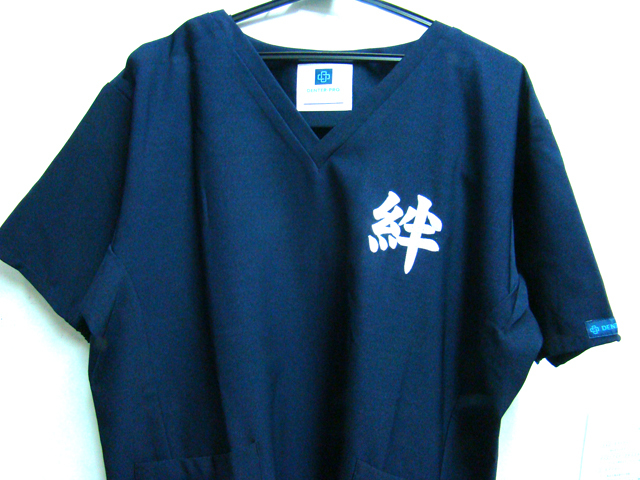 In the sleeve cuffs there is rubber, so even when the person wearing the scrub lifts his arms, his sides are hidden and the wear fits perfectly on the body. 6. In order not to touch the face of a patient during treatment, the pockets are on both sides of hips. Inside of the pockets there is a double structure, which makes it easy to organize small items such as a pen or a PHS phone inside of the pockets. 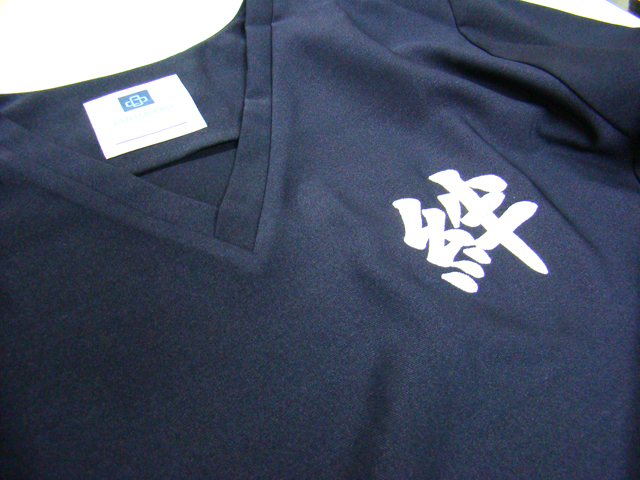 ※A part of the profit is donated as a support for the revival of Japan hit by the Great Earthquake Disaster. Please look at this cool scrub in our online store under the SCRUB category!